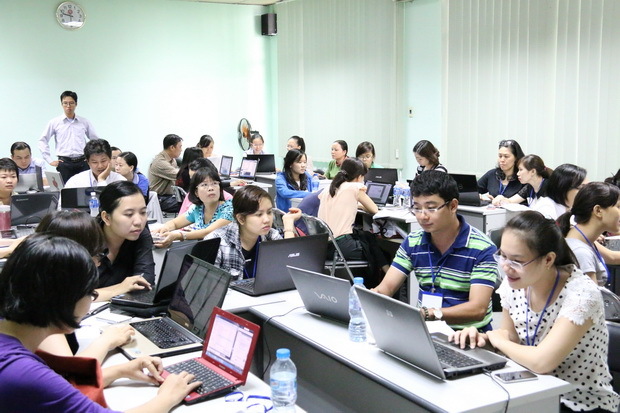 On April 25, 2014, SEAMEO RETRAC organized a training workshop on “Designing Interactive Teaching Materials with Captivate” at the Center for 30 faculty members from universities and colleges. 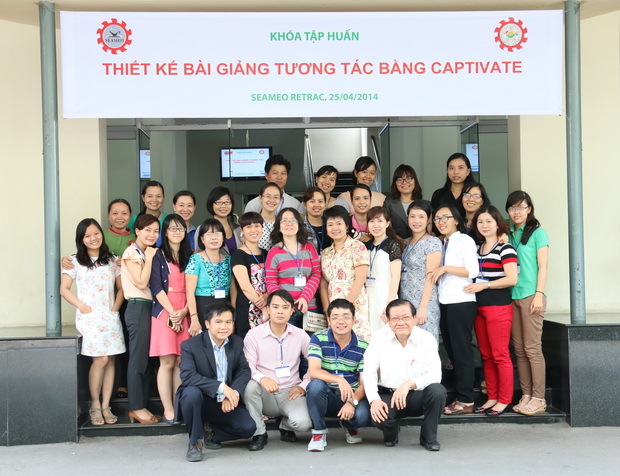 On April 25, 2014, SEAMEO RETRAC organized a training workshop on “Designing Interactive Teaching Materials with Captivate” at the Center for 30 faculty members from universities and colleges. Training content involved the application of Captivate to design interactive lectures vividly and effectively.